With the rise of the gig economy, more and more people are moving into home offices for work. They’re doing all sorts of things, like designing websites, writing blogs and offering transcription services over the cloud. But with the rise of the home office also comes increased risks. At any moment, somebody could break into your house, steal all your assets and then hold them for ransom, demanding payment to get them back. For this reason, many companies are moving into the home security market. It’s big business, and there are many gadgets on sale. Here are some of the highlights. The Nest was originally supposed to be a smart thermostat solution. But ever since Google gobbled up the original company, Nest, they’ve been on a mission to pad out the internet of things with devices which are actually useful, not just connected kettles. As a result, they’ve come up with the Nest Cam, a little camera that looks a bit like a webcam that spends all day recording goings on in the office. The Nest cam might look simple, but it comes packed with decades-worth of high-tech surveillance technology, developed for generations by state and private interests. The lens has a sensor on it which can detect suspicious activity and immediately start sending data, via the internet, to your personal device. According to Google, the high-tech algorithms that power the Nest Cam are able to tell the difference between a tree swaying in the wind and a burglar breaking into your home. The camera allows you to save chunks of video to watch later at your own leisure. Smart locks might seem a bit over the top. But top blogs are now recommending them to people who run their own businesses. One of the tips in this article is to install a smart lock as soon as you set up at home, allowing you to determine who is allowed access to your office and who isn’t. August have a system that allows you to control access from your smartphone, enabling you to let the kids into the office if they need something while keeping everybody else out. 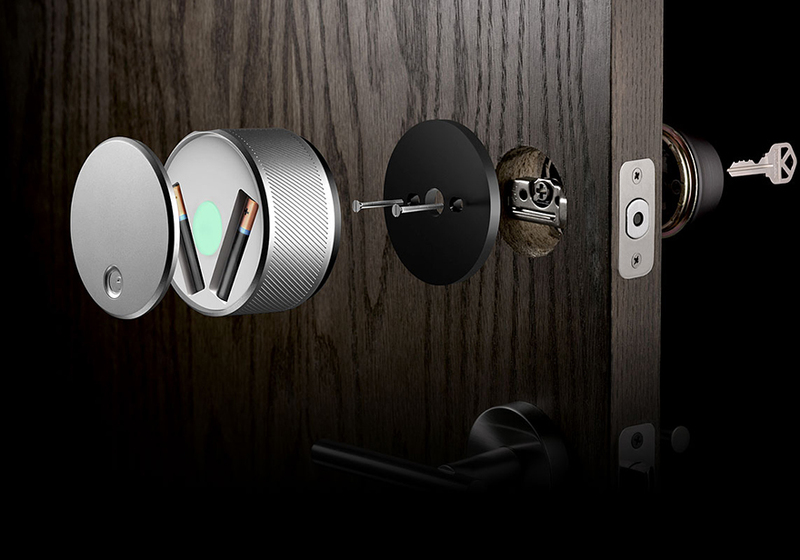 With smart locks, you’re essentially throwing away the key in exchange for greater security. But you’re also adding more convenience to your life. Not only can you do away with carrying around a set of keys all day long, but you are also able to let people into your office, even when you’re not there. Suppose you’re out at a meeting on Tuesday morning, the same day as the cleaner comes to tidy up your office. With a smart lock, you can simply let her in remotely. 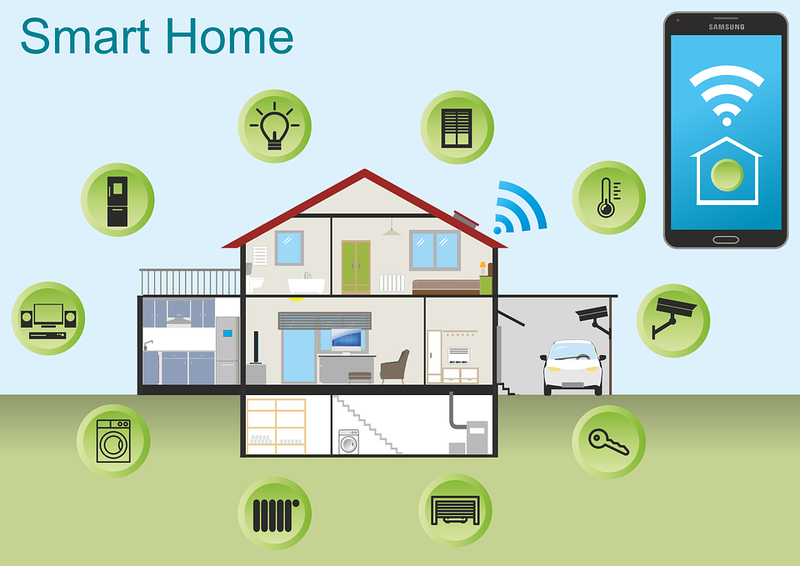 The principle behind the Netgear Smart Home systems is to be able to scale your security needs, according to the size of your home. If you’ve got a small house, you may only need one or two cameras in the system, connected to the base station. If you live in a mansion, or your house comprises multiple outbuildings for offices and gyms, then you can add extra cameras you need. The Netgear Arlo smart home cameras are waterproof, meaning you can leave them outside. This entry was posted in Household Hints, Technology. Bookmark the permalink.